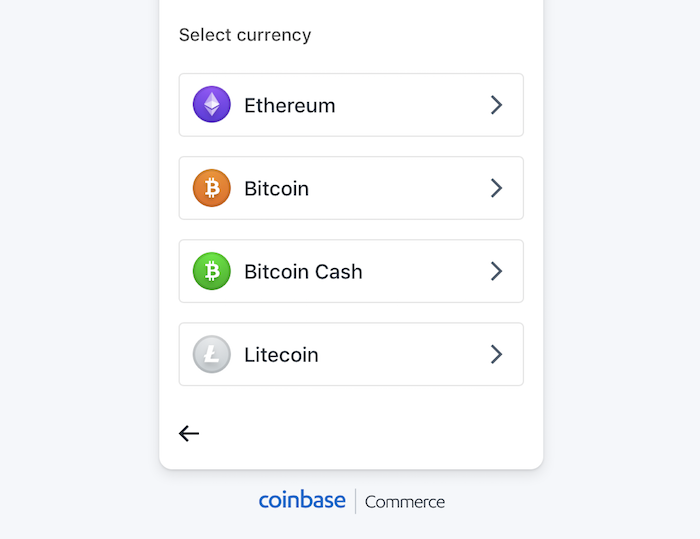 Coinbase, the biggest crypto broker and one of the biggest exchange, has launched a new service for merchants, allowing them to seamlessly integrate crypto payments by adding a Coinbase Commerce button, not much different than the PayPal button. Unlike previously where their merchants service was directly integrated with Coinbase, requiring a Coinbase account, all you need now to make the payment is just crypto. 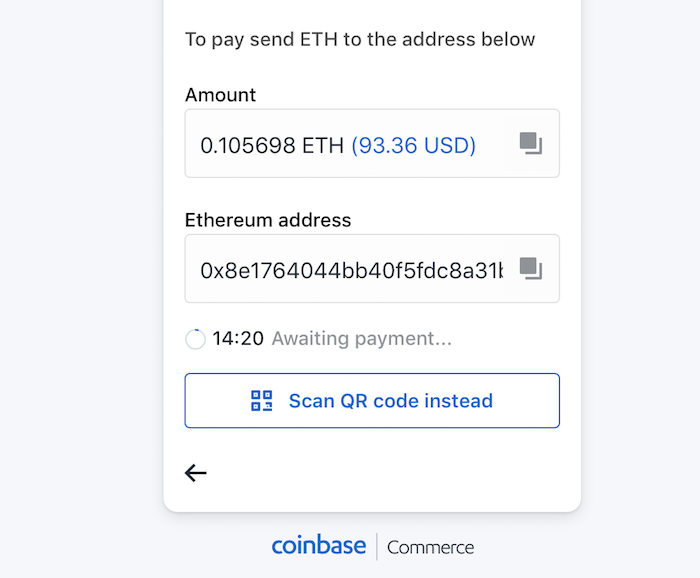 Coinbase has said little officially regarding the new service, with a bare website stating they are not open for new sign-ups, but some merchants are already using it, giving us the opportunity to test Coinbase Commerce. 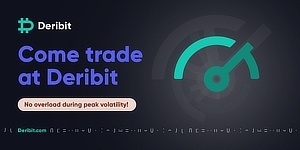 As can be seen above, the crypto option seamlessly integrates, making it look no different than the other two established options. The four options shown above are the four cryptos Coinbase has listed on their broker service and on their exchange. Ethereum is shown first under a, we must say, nicer logo than the rest, betraying perhaps a slight bias on the part of Coinbase which, is no secret, has dedicated some considerable resources towards supporting the ethereum ecosystem. We pursued no further, but we presume once the payment is sent the website would redirect back to the merchant’s natural environment, just as it does with PayPal. Nor did we have the MetaMask plugin installed. So it is unclear whether we would have just received a request for confirmation with the payment automatically made if MetaMask was in operation. If that’s not the case, then it probably will be in due time because it significantly increases customers convenience as instead of copy pasting around you’d just click the MetaMask confirmation button and be done within a second. Even without it, however, the experience is no worse than with PayPal or credit cards, although it is unclear how that 15 minutes payments time frame would work with bitcoin when it experiences sever backlogs. With Bitcoin Cash, such problem might be unlikely because they could use first seen zero confirmed transactions as Coinbase used for bitcoin prior to 2014. But it is really with eth, integrated with MetaMask, where the checkout experience could shine and be far more convenient than with either PayPal or a credit card. That’s because in such integration, you would need not search for your wallet then enter all those numbers, nor would you need to copy paste crypto addresses, with the payment instead virtually instantly made as long as you have a sufficient balance on MetaMask. That means BitPay might have quite some competition on their hands. They have been dragging for months now on Bitcoin Cash integration, without any indication of eth addition, while Coinbase is offering all of them, plus Litecoin on top. BitPay is, however, bigger where merchants are concerned, with the last known number being some 100,000, while Coinbase has around 50,000, but Coinbase’s pioneering in the eth space, where many innovative projects are beginning to make a practical difference, might give them a significant edge. Update: The plugin does integrate with MetaMask. Gracias por este artículo Las plataformas de criptomonedas innovan todos los días. Y Coinbase no se queda afuera. Gracias a la diversificación de las ofertas, los propietarios de criptomonedas tienen más facilidad para usar sus fondos. En el futuro, me veo haciendo compras en bitcoin o Ethereum. 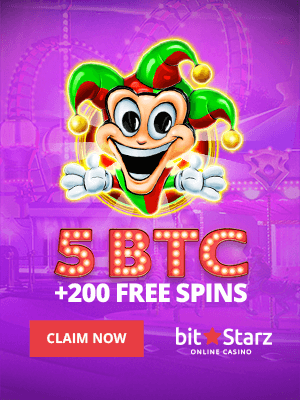 Pero por ahora, estoy invirtiendo en crypto-markets. Es un sitio dedicado al comercio de divisas digital. Una vez que tenga suficientes fondos, compraré en sitios de comercio electrónico que paguen en cryptos.